Log Cabin variation blocks and Flying Geese make this a fun quilt. The pattern includes instructions for making this quilt in 2 different sizes! The small quilt is 74 x 85 and the large quilt is 94 x 106. Yardage requirements for the small quilt are ½ yard pieces of 18 Dark prints and 9 Background prints. Yardage requirements for the large quilt are ⅝ yard pieces of 20 Dark prints and ¾ yard pieces of 10 Background prints. All instructions are for rotary cutting and machine piecing. 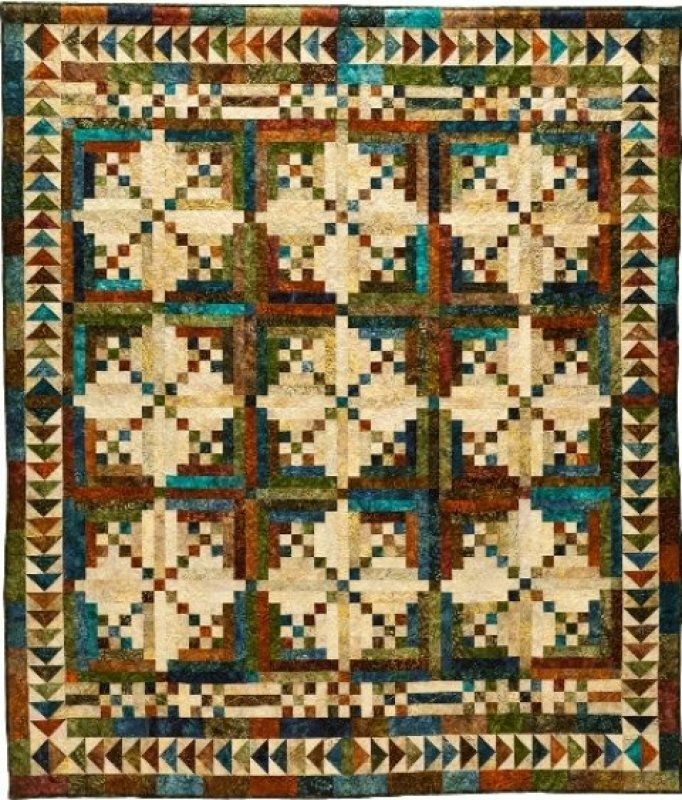 This pattern is recommended for experienced piecers.